I use Untappd a lot. 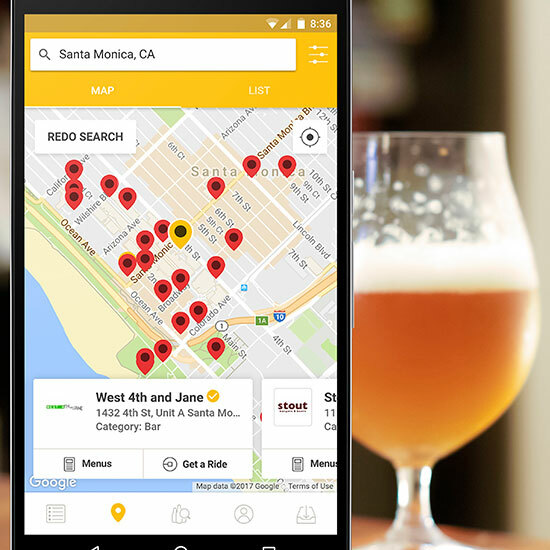 The beer-centric social network app that allows you to check-in what and where you’re drinking, write reviews and follow your friends’ activity is a great way to make sense of the ever-growing and increasingly overwhelming craft beer scene. But at the risk of sounding like a special snowflake, I also feel like I use the app differently than most; as someone who writes about beer, Untappd doubles as an amazing work tool: Where I used to have to take and organize notes, Untappd now handles the bulk of that for me, providing a searchable index of what I drank, where and when, and then reminding me what I thought. So when I heard that Untappd had significantly redesigned its interface, my first feeling was one of trepidation. I feel invested in the information I’ve stored in the app – as any frequent user would be – and was nervous about accessing it moving forward. However, here’s the rub: Accessing info in Untappd wasn’t always that easy to begin with. Finding old beer reviews wasn’t very intuitive. And often times I’d end up digging around to do something that shouldn’t be that complicated, like editing a comment. There was certainly room for improvement. So yes, Untappd is different – and it has a number of new features, but the most important thing for dedicated users to know is that is also appears to be better than it was before. According to the company, “Untappd 3.0” (as it’s being called) took “8 months [of] completely redesigning and recoding Untappd from the ground up.” First off, for its most essential function, checking in beers, the app includes two awesome additions: serving style and purchased location. No longer will I have to waste any of my 140 review characters by writing something like “bottle” or “cask” (which I did constantly); and with “purchased location,” I can now give a beer some context of where it’s from even when drinking at home. Most of the other changes focus around “discovery” – of things like bars, beers and events. And these options are now the first thing you see when you open up the app. Frankly, though tools like “verified venues” and “events” are more about Untappd monetizing its business than things I actually care about (not to say they shouldn’t monetize; they deserve it), other front-and-center features like “trending beers” and “trending locations” actually seem pretty cool. It’s interesting to see that five people have recently checked in Little Critters C Monster at The Closed Shop (which is 1.4 miles from me) and instantly be reminded with a checkmark that I’ve already tried that beer before. Likewise, looking at local check-in data on trending locations is a good way of determining which bars likeminded drinkers are frequenting in my area. Not to mention the new “map view” which makes finding a bar far easier that searching “bars” in Google Maps. At this point, I’ve only played around with the new app a little bit. And Untappd suggests that beyond the new features it’s promoting there’s also “quite a bit more.” I’m guessing I’ll stumble upon other things that impress me, and I’m sure I’ll also find tweaks that bug me as well. But in general, it appears some previous issues have been fixed, other areas have been enhanced and the new additions are worthwhile. As I said, I’ve been a fan of Untappd and its team for a while now. I’m going to give them a “good job” on this new update – which is high-praise coming from a skeptical special snowflake like me!